In 1880, Thomas Gustave Plant, the son of a successful businessman, left his home in Bath, Maine to seek his own fortune. He makes it to Massachusetts, where he works as a laborer in various businesses before finding his niche as a shoe laster (someone who attaches the tops of a shoe to the sole). And when he wins $100 betting on baseball, he invests it in a shoe-making company. In 1891, he becomes the proud owner of the Thomas G. Plant Shoe Company in Lynn, Massachusetts. The business would make him a millionaire. On my last full day in New Hampshire, we visited Thomas’ house, named Lucknow, in Moultonborough. 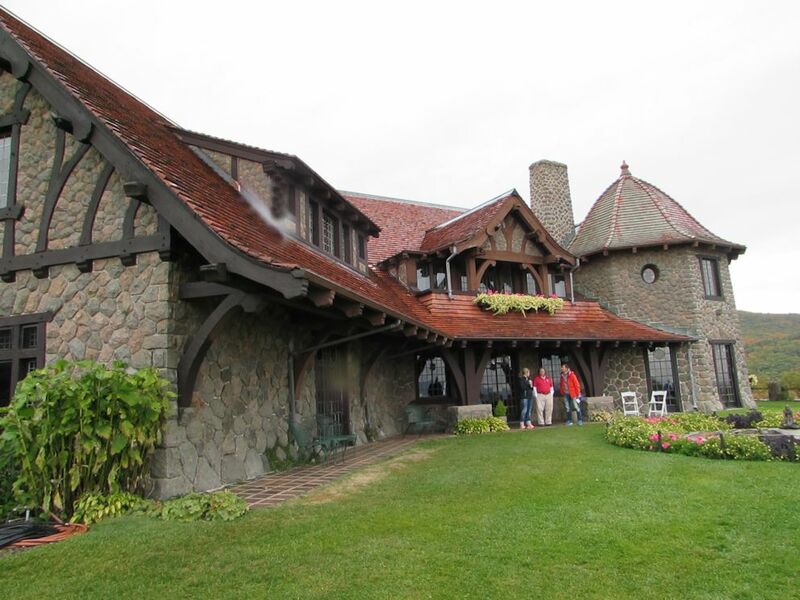 It’s a 16-room mansion — called “the Castle in the Clouds” in its PR literature — on a 5,500-acre estate at the top of Lee Mountain in the Ossipee range, overlooking Lake Winnipesaukee. 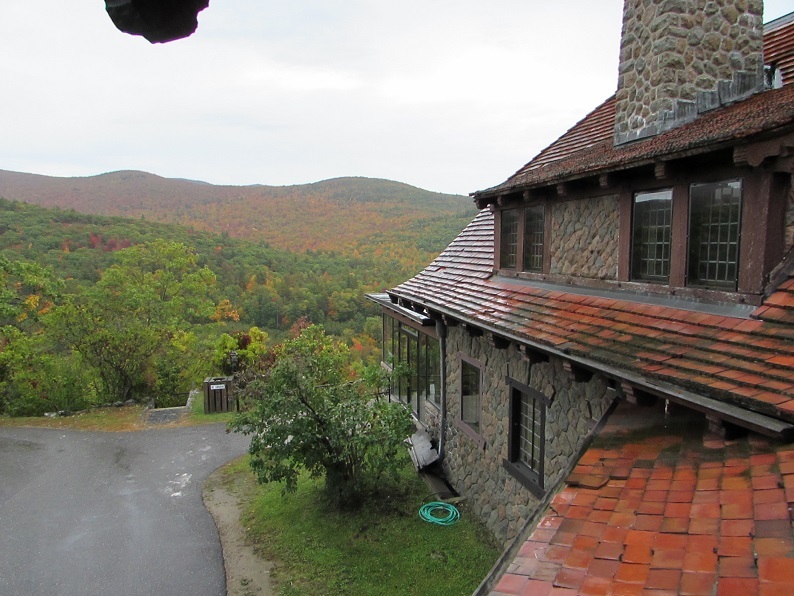 The stone and lumber used to build the house were from the area but were sent to Maine for finishing, and the labor and cost of hauling all the materials back up to the top of the mountain was astronomical. But the building of Lucknow, the castle on an almost-inaccessible mountain, was Thomas’ grand romantic gesture to his second wife, Olive. The 1913 house is in the Arts and Crafts style, which is probably my all-time favorite design movement, and fits perfectly with the woodsy, mountain venue. It’s also clearly a rich man’s house, but not an overwhelmingly huge mega mansion. It was homey. 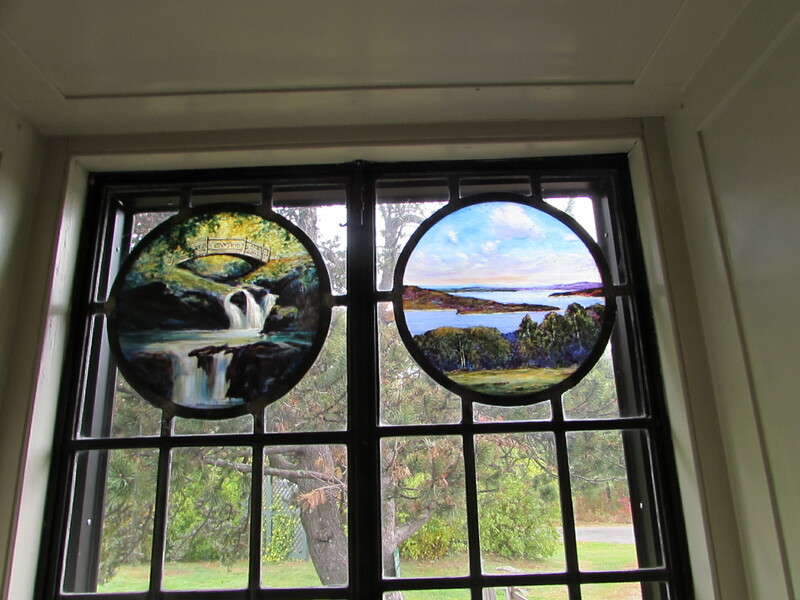 He didn’t like the plain glass that came in the french doors, so he had Tiffany design these stained glass rondels. There were about 12 of them scattered throughout the house. One of the reasons that Plant was such a successful businessman was his innovation. For example, he was the first to put his shoe making machines on the top floor of the factory, rather than on the first floor. That way, as the shoes were completed, they could be sent down a chute for whatever came next. Before Plant came up with this, little boys were tasked to carry boxes of shoes up stairs for finish work and packaging. In the same way, he equipped his house with the latest and greatest inventions. There was a needle shower (which looked torturous), a self-cleaning oven and a central vac. He had sold his business for $20 million before he started building the house and intended Lucknow to be his retirement home. But it turned out that he was a better shoe maker and innovator than investor. He took some bad investment advice from his close friend, Theodore Roosevelt, lost all his money, and ended his life a pauper. He tried selling the house after he lost his money, but was not successful. He and Olive lived there until his death in 1941, when the property sold. It went through several owners before came into the possession, in 2002, of a conservation trust. It was they who opened the house and land (there’s lots of hiking to be had on the property) to the public. Lucky for us, all of the owners left the house — and its furnishings — intact, so what we see now is how the Plants left it. One more interesting fact about Thomas Plant: he founded the Plant Memorial Home in Bath, Maine, in 1917, on the banks of the Kennebec River. It’s an assisted living facility for low-income seniors that is still in operation. “This home is founded,” wrote Plant, “on my sincere belief that those who have lived honest, industrious lives and are without means or friends to take care of them, have earned the right to be cared for….” A much more important legacy than a house on a mountain, no matter how beautiful. Gallery | This entry was posted in New Hampshire, Uncategorized and tagged Castle in the Clouds, Lucknow. Bookmark the permalink. It really was. I could easily move in there and feel at home. 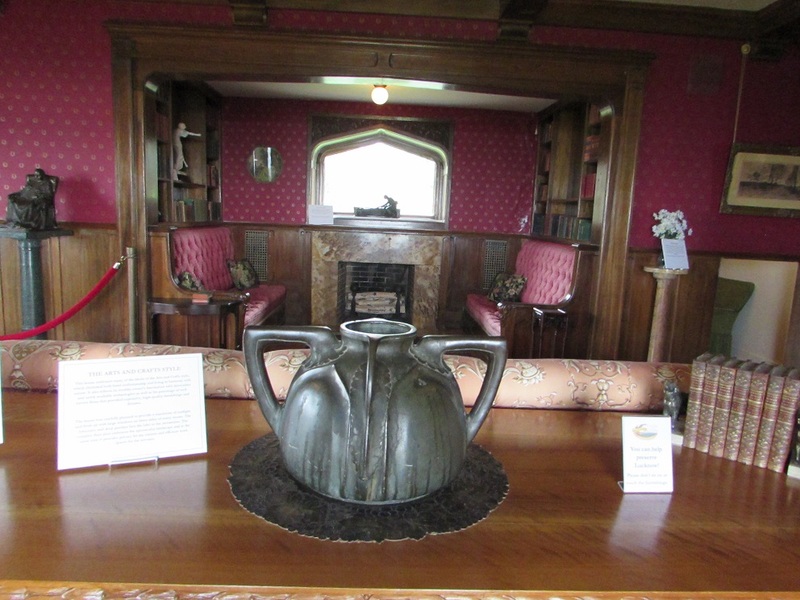 I am not as enamored of the arts and crafts style as you are, it seems a bit dark and heavy for me, but I loved this house. Lots of windows, lots of light. The fabulous views, the gardens overlooking the mountainside and the wonderful stained glass made it really remarkable. 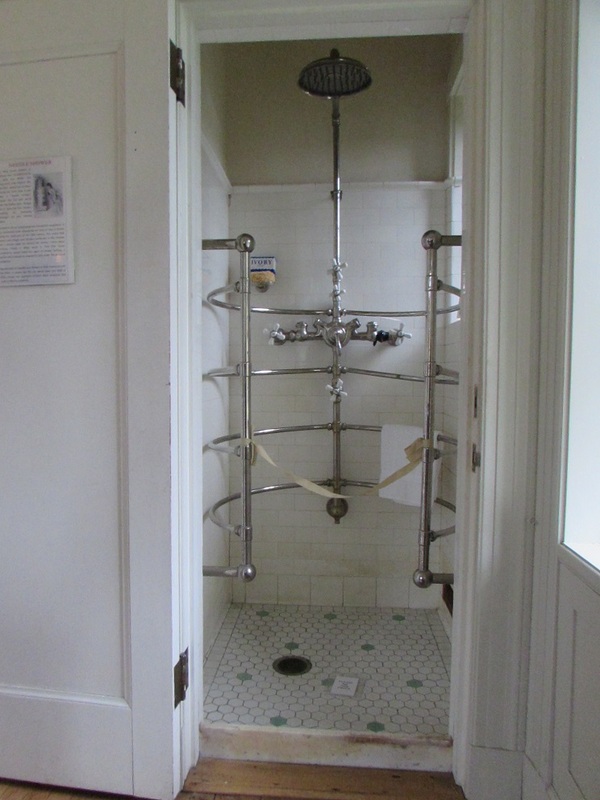 Unlike the Federal and Georgian style homes I love, it has those beautiful bathrooms and incredible walk in closets. 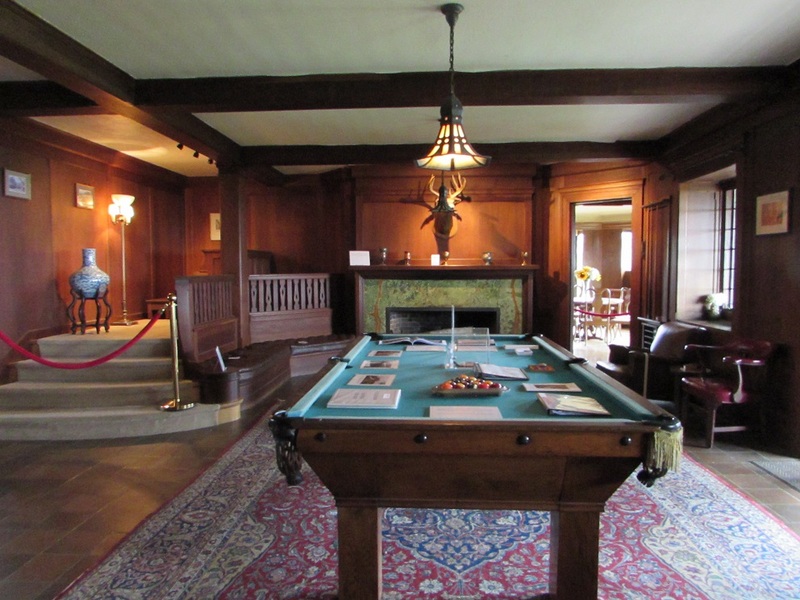 Yes – the craftsman style can be dark and heavy. My least favorite aspect of it is the thick furniture. But I think that Lucknow is craftsman done right – bringing the outside in and being one with its surroundings. What a stunning home!! That shower though? ?